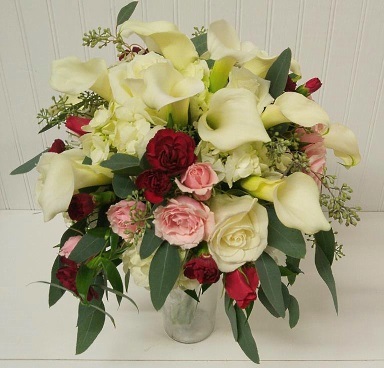 At ROBINS NEST FLORAL AND GARDEN CENTER, we are more than just your average florist! A full service Florist and Garden Center, We provide flowers for any occasion from birthdays & anniversaries to parties and weddings. We also offer an extensive inventory of nursery stock, trees, shrubs, annuals, perennial plants and indoor tropical blooming and green plants from our greenhouse. Our Christmas & gift shop is one of the best on the Shore. ROBINS NEST FLORAL AND GARDEN CENTER is a professional local florist proudly serving Easton, Maryland and surrounding areas. Our friendly and knowledgeable staff is ready to assist you when you need flowers delivered locally or anywhere in the world. For your convenience, we also offer daily delivery service to local hospitals and funeral homes. Whether your wedding or party is formal or casual… a small gathering or the social event of the year… we can help you plan an event that's a "blooming" success! Call us in advance at (800) 548-5288 to schedule your consultation. Robin's Nest carries a wide variety of candles, placemats and napkins, seasonal silk wreaths, arrangements, and flowers, wall hangings, decorative flags, mailbox covers, and rugs, windchimes, home decor items, ribbon for all occasions, and much, much more. Stop in to see our beautiful selection. We are more than happy to help you carry out your decorating ideas. 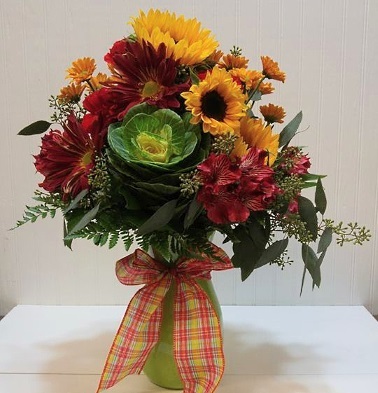 Thank you for visiting our website for flowers delivered fresh from your local Easton, MD flower shop, Robin's Nest Floral and Garden Center.